In Nietzsche’s philosophy the essence of life is determined by sensible and rationally constructed reality. Degree of sensible reality is labeled by degree of rational cognition. Rational cognition in turn depends on existential capability of individual. All of this mean the way of processing of human being life wanting heighten it determines if he overcomes his physical attitude and realizes complete cognition – episteme. According to Nietzsche’s view we can defeat manlike being by rejection both physical and metaphysical affections treated separately in boundaries of one organism, and pay attention only on constructing of human being who contains these two affections inseparably linked in boundaries of one mind. This coupling transposes to virtue acquisition overcomes beyond the borders of conception of reality. I think Nietzsche used metaphor of the dragon to describe this action of achieving of cognition. But unfortunately there is no any depictions of it in his philosophical work. Moreover, there is no chance to find out any clear conceptualization of this metaphor but only few marks which we can put in depth analysis and catch up the sense of Nietzsche’s idea. It looks like Nietzsche wants to hide essence of his important idea before his work’s readers. Some of them could even claims that philosopher was not able to express his ideas in straight literary way to be understood. But the question is, if Nietzsche really wants to be understood? He rather mocks all of these reading idlers who does not use intellect at all, and tells them, that his work is written of blood, because blood is spirit. “It is not easily possible to understand blood of another (…)” – he claims, and adds so far that: “everyone is allowed to learn to read ruins not only writing in the long run, but thinking too”. That declaration betrays that all thoughts must be shaped artfully and not to be understood by reading idlers or by mob, because they can destroy all intentions put inside of literary art by philosophical writer as Nietzsche was. “In the mountains the shortest way is from peak to peak, but for that one must have long legs. Proverbs should be peaks, and those who are addressed should be great and tall”. Ability to phrase complex thoughts depends on efficiently making use of metaphors. It is much more easy to learn how to read literally then acquire ability to break a code that metaphor contains. The one who uses parables efficiently, such as smith use his hammer, is the one who got knowledge how to make a philosophy. And making philosophy knows how to rise human being up: “Pay attention, my brothers, to every hour where your spirit wants to speak in parables: there is the origin of your virtue. There your body is elevated and resurrected; with its bliss it delights the spirit, which becomes creator and esteemer and lover and benefactor of all things”. In this chapter I pay attention on problem such as history of mankind in Nietzsche’s view. In my opinion it is important because of synthesizing vision that philosopher seems to release in his late works, for example The Will to Power, Human, All too Human, Wanderer and his shadow, Beyond Good and Evil, Thus spoke Zarathustra, and other. The main thesis is connection of two interpretative lines of our history – historicism and historism (historismus) – with the spiral conception of time. New model that arises is some kind of subtle hybrid that makes human reality better for existing – what I want to depict in this paper. Moreover, it provides an excellent matter for uprising of higher form of human being what should be, in Nietzsche’s opinion, the main purpose of anyone existence. Nietzsche calls it übermenschen and says this kind of being is able to create the best one and only konception der realität. We can analyze history using two lines which are historicism and historism (historismus). The main thesis of historicism is following history as rational process controlled by an superior mentality which leads it at determined direction. According to second line (historismus), history is a record of events gathered in mankind memories in the shape of open-ended construction which are rebuild and explore by the human mind and with the end of it they will ultimately gone. In this sight we can say about history that its progress is determined spontaneously, arbitrarily – depending on the tendency of scholar. Nietzsche agrees with stance by which the end of human being is undisputed fact but he did not associate it with the end of history. In his works we can find presumption for statement that he extend his vision of a übermenschen motive, what looks like he would try to tell us about glorious character who is taking control of the further construction of history and new human genealogy captivated as a höhere seinsweise des Menschen. In this meaning it is eligible to say about some kind of purpose (Zweckmäßigkeit) “as an ability to existence”. On the one hand Nietzsche says that history is an human-made opus which needs creative activity, but on the second hand he agrees with conception of history as a subtle matter fallowing in the hard-and-fast direction which is the end of human being and beginning of übermenschen era. And I would say that era is signed by the newborn dragon. We must pay attention of this vision and reflect if it is not self-contradictory. Nietzsche thinks that man is disqualified from being out of band by history. Man creates it unconsciously using for that his memory where he gathers and holds all flashbacks of past times. In this way he makes alive his historical awareness which generates specified version of history/genealogy. Nietzsche assumes that man is implicated in existing chaos of happens which he tries to scheming with his organic perceptual instrument (die Undeutlichkeit und das Chaos des Sinneneindrucks). Consequently at the beginning of his existence he creates konzepte der realität which are some kind of conventional fictions related with themselves a cause-and-effect link. Therefore human memory objects are nothing else but happens grouped in specified conception. That is exactly how human set history in Nietzsche’s opinion. That is also why we could suppose that supremacy under the history potentially reside in human mind. The one who has a power to rearrange of past conception, has also a real authority over possible manipulation of past and present circumstances – “the historian (who fuses past and present)”. If we follow up with this vision there is one result we can figure out, namely, history is not steady – man can change its cause-and-effect structure because it has secondary predicate, what means nothing more than history arises as some kind of interpretative model based on artificial compilation of many happens inside the koncepte der realität. “Facts is precisely what there is not, only interpretations” – claims Nietzsche. Hence, history is susceptible to various mutations. That is why each society should take care about its history. Otherwise it will be liable to lose its subjectivity. Thus, it is very important to result every little thing forming comprehensive representation of historical tradition because it has a real impact for consolidation of society structure. However existence of many commonwealths causes possibility of hostility at some point their continuance. It is need to emphasize that every single one commonwealth has own historical tradition specifying its entity basis. In this sense history could be considered as a high-grade value or even autotelic value. Appearance of hostility between two or even more commonwealths in a natural way link them in historical meaning. There is no doubt for Nietzsche that political organism is subtle reflection of biological organism. Parts of history are placed carefully so as to make risk lower and make own political organism stronger because only in this way it may be higher and powerful. Nietzsche says that political organism which is arisen on history of defeats will be condemned to defeat because that kind of tradition makes commonwealth spirit poor: “Those poor in life, the weak, impoverish life; those rich in life, the strong, enrich it. The first are parasites of life, the second give presents to it”. Even a body within which (as we presupposed earlier) particular individuals treat each other as equal (which happens in every healthy aristocracy): if this body is living and not dying, it will have to treat other bodies in just those ways that the individuals it contains refrain from treating each other. It will have to be the embodiment of will to power, it will want to grow, spread, grab, win dominance, – not out of any morality or immorality, but because it is alive, and because life is precisely will to power. (…) society cannot exist for the sake of society, but only as the substructure and framework for raising an exceptional type of being up to its higher duty and to a higher state of being. In the same way, the sun-seeking, Javanese climbing plant called the sipo matador will wrap its arms around an oak tree so often and for such a long time that finally, high above the oak, although still supported by it, the plant will be able to unfold its highest crown of foliage and show its happiness in the full, clear light. The manifold discomforts imposed upon men by the claims of higher culture at last distort nature so far that they usually bear themselves stiffly and stoically and have tears only for rare attacks of good fortune, so that many, indeed, are constrained to weep merely because they have ceased to feel pain: – only when they are happy do their hearts beat again. History shows: the strong races decimate one another: through war, thirst for power, adventurousness; the strong affects: wastefulness – (strength is no longer hoarded, spiritual disturbance arises through excessive tension); their existence is costly; in brief – they ruin one another; periods of profound exhaustion and torpor supervene: all great ages are paid for – The strong are subsequently weaker, more devoid of will, more absurd than the weak average. Genius (…), if by this concept we understand extraordinary essences content in the man mind, is always cause by result of labor of this very entity or entities and communities where it was formed . It is hard to say what Nietzsche thinks about role of Genius in history of mankind. We can only speculate if Genius is only some kind of reaction that initiate progress. If we can speak about any kind of progress at all? So in Human, all too Human Nietzsche claims that progress is unnecessary, but merely possible. It can be conscious activity manifestation of mankind going on to projection the new model of civilization that wrecks old one: “It would, of course be rash and almost nonsensical to believe that progress must necessarily follow; but now could it be denied that progress is possible?”. Nietzsche believes there are lots of reversals laying on the advance. The most grim are “blunt spirits” which are in the opposite to Genius – “free spirit”. Those blunt spirits are “capable of exciting great enthusiasm whose development is nonetheless retarded, so that they conjure up again an earlier phase of mankind”. Genius follows straight ahead and on his way he constitutes new culture signifying freedom beyond decadence world: “To redeem what is past, and to transform every ‘It was’ into ‘Thus would I have it!’ – that only do I call redemption!”. Everything comes into being and eternal return (kehr ewig wieder) – it is not possible to steal away! Assume that we would like to judge values, what is that meanins? The idea of eternal return (der Wiederkunft) – as ultimately principle in the service of power (and Barbarism!!). The will is always turned backward. Its ‘forward’ motion in creating the world is indeed ‘aback’ motion. Except that for the last man the motion is going pathological, there is a schism between ‘It was staying beyond the will’ and ‘It was staying apparently inside the will’. Nietzsche believes that every kind of present time where mankind exists, should be interpreted as an eternal returning to still creating past. German philosopher teaches us that if those returning convert itself to returning to own will only than it will be possible arising of übermenschen who begins new era. In this context I may risk a thesis about existence of specified model of Nietzsche’s history of mankind. It could be subsume general or individual. I believe it is original for every living organism even if it is social organism or biological organism. Even though talk-about model has a metaphysical structure, it is built on natural cyclicity basis. That is why we can named it a hybrid with self-synthesizing structure – it is neither only the cycle formation nor only the linear formation but those two in one together at the same time. Its mechanism is not static but progressive and essentially is similar to rising up spiral. Nietzschean eternal return can be analyze in the same way as Żelazny did, but also we can consider it in external perspective as a return of past happens but with transformed shape. This is the matter of intellectual labor when that happens are technically reconstructed in social being with solider internal structure – better, constructive, giving a hope for uprising of the new heights of knowledge. In Nietzsche’s history of mankind we can distinguish at least three aspects where the path motive appears. First one is a path of social organism which constitute new communities united on their own spiritual and technical achievements. Those communities accordingly to their nature are determined to emulation each other if want to set a civilization. Second path and third path belongs to Nietzschean wanderer which is Zarathustra. First one direct across the world that we can know in natural attitude. Wandering means in this very case simply a making pilgrimage. It looks different when we take second one – mentality path – which pursuing inside of wanderer mind. This two paths interpenetrate themselves because first one generate the way of second one. Genius must synthesize this two paths within himself if he want to be a teacher of mankind. Only then he will be able to create an extraordinary social organism that make alive new era with newborn dragon. Further exam of Nietzsche’s work requires in depth analysis of symbolism of dragon. It will make us much more closer to his epistemological postulates where we will find out how philosopher thought about development of human being. The dragon is kind of creation whose presence we can find in many cultural areas over long periods of time. It is multicultural symbol occurs in the lore and both ancient or medieval references. As such we are truly not able to catch up real meaning of it – depending on cultural area there existed good or evil dragons. Hans Biedermann noticed, that dragons, in general: “are always portrayed as reptilian in form, at times like winged crocodiles or gigantic snakes”. James Hall, who was writing about symbolism of dragon in Eastern Civilizations context, fills in details Biedermann’s view, and claims that: “Near its mouth there may be a flaming ball, described as a pearl, probably a symbol of thunder (…). Some have said that it hides in caves or in the depths of the sea. Its legendary appearances, rare and always fleeting, are a portent of some great event such as the birth of a future emperor”. Furthermore, Jean Eduardo Cirlot claims: “A morphological study of the legendary dragon would lead to the conclusion that it is a kind of amalgam of elements taken from various animals that are particularly aggressive and dangerous, such as serpents, crocodiles, lions as well as prehistoric animals (…).The dragon, in consequence, stands for ‘things animal’ par excellence, and here we have a first glimpse of its symbolic meaning, related to the Sumerian concept of the animal as the "adversary’, a concept which later came to be attached to the devil”. There is no doubt, that dragon represents might, strength, power in every culture: “For Taoists its appearance is the Tao itself, a force suffusing the universe that they may momentarily glimpse. For Zen Buddhists the dragon was also a cosmic spirit symbolizing their all-too-elusive visions of Enlightenment”. I think Nietzsche had to approach the same conclusions because the way he made use of this symbol clearly points out exposition of dragon’s attributes that was described above. If we say about might, strength and power, we must remember at least two things. First of all, they are necessary to enforce the will to power and for life development – in the result, to approach cognition being a Nietzschean wanderer. Secondly, power which he has on his own is used for defeating other kind of dragon – keeper of the old, decadence values. After he ultimately conquer him, he can be described as a powerful dragon, the only one, who can build up new kind of reality. Symbolism of this fantastic beastie evolving throughout history, therefore it is hard to established it gives positive or negative message. But if we want to know how it looks like in Nietzsche’s philosophy, we can simply go for his Thus Spoke Zarathustra. It contains interesting presumptions that reveal two ways of influence on Nietzsche’s believes. On the one hand we see Oriental inspiration, but on the other hand there is many references to biblical tradition, especially an objections against values it preserved and spread out across Occidental world. Biedermann claims: “In contrast to this Occidental conception, the dragon is usually understood in East Asia as a symbol of happiness capable of producing the potion of immortality. It represents the primal essence yang of Chinese philosophy – procreation, fertility, activity – and thus is frequently used decoratively to ward off evil spirit”. Wolfram Eberhard recognizes yet other aspects in symbolism of dragon what is relevant for describing here Nietzschean conception of human being intellectual evolution who wants to go beyond decadence and reaches a cognition on the highest: “(…) the dragon was imagined as spending the winter under the earth, on the 2nd day of the 2nd month he rose from the earth into heaven thus causing the first spring thunder and rainfall”. The way to catch up the essence of considering symbol is going deeply to archetype of this animal which is serpent indeed connected with eagle or other predatory birds. This kind of syncretism may be arguably consequence of cultural evolution that fused serpent and eagle into the one huge hybrid – a winged dragon. Mythologist Joseph Campbell in The Power of Myth said: “a constant image is that of the conflict of the eagle and the serpent. The serpent bound to the earth, the eagle in spiritual flight – isn't that conflict something we all experience? And then, when the two amalgamate, we get a wonderful dragon, a serpent with wings”. In Praeparatio Evangelica, Eusebius of Caesarea studies the work of Sanchuniathon – Phoenician who described culture of his ancient nation  . Eusebius quotes his remarks about serpent and hawk: “The first and most divine being is a serpent with the form of a hawk, extremely graceful, which whenever he opened his eyes filled all with light in his original birthplace, but if he shut his eyes, darkness came on”  . Soon after, he claims that fantastic hybrid: “is also of a fiery substance, by saying ‘he shone through’, for to shine through is peculiar to light”  – doesn’t it look like characterization of the Sun of Cognition? From the foregoing testimony of Eusebius we can see also how close Nietzsche’s meaning of the dragon was. In Thus Spoke Zarathustra he makes a lot of similar descriptions of the sun taken as a symbol of cognition by him. The most significant and already mentioned depiction is this one, when Zarathustra receives staff from his disciples, with ornament of snake of knowledge encircled around the golden sun: “It is power, this new virtue; it is a ruling thought and around it a wise soul: a golden sun and around it the snake of knowledge”. The meaning of staff is very curious. Hall notes that staff, which is actually a caduceus, “in a form of the rod ending in a circle and crescent it existed among Assyrians, Hittites, and Phoenicians as the emblem of messengers of the god”. In additions, he also gives a specify characterization: “it has intertwined snakes and is tipped with wings, which may have been a modification of the winged disk”. Quite similar description gives Eusebius when he again quotes Sanchuniathon’s writings: “Moreover the Egyptians, describing the world from the same idea, engrave the circumference of a circle, of the colour of the sky and of fire, and a hawk-shaped serpent stretched across the middle of it, and the whole shape is like our Theta (θ), representing the circle as the world, and signifying by the serpent which connects it in the middle the good daemon”. We see now how this two opposing elements, serpent and predatory bird, together as one, was firmly ingrained in human mind in many ancient civilizations. And they was of course taken by Christianity. I think so far, that quite important impact to the shape of beliefs of Christians made Phoenicians. In other hand, in Phoenician’s beliefs we can find out many signs of Zarathustrianism. Eusebius noticed, that Zarathustra, the Magician, in the Sacred Collection of Persian Records introduces god’s appearance, and it seems to be similar to description of Nietzschean dragon: “And god has the head of a hawk. He is the first, incorruptible, eternal, uncreated, without parts, most unlike (all else), the controller of all good, who cannot be bribed, the best of all the good, the wisest of all wise; and he is also a father of good laws and justice, self-taught, natural, and perfect, and wise, and the sole author of the sacred power of nature”. All of this premises show that we deal with the dragon that rose up straight from ancient Middle East, and if we get the most legendary symbol of religions taken from there, we get something close to Faravahar: sage, serpent in the circle shape, and wings of bird connected together as a one huge and powerful hybrid. It is very remarkable when we compare Faravahar with Theta (θ), described by Eusebius, and then with Nietzschean eagle and serpent that occur in his Thus Spoke Zarathustra. We can even say now, that eagle and serpent state dragon’s shape and bring sage’s will to power back. It can be some kind of explanation for the sentence, where Zarathustra compares himself to mighty dragon. I think there is many hints behind the dragon symbolism occurring in apocalyptical vision of St. John. But we have a little aberration there against previous meaning, because it is described in negative terms even if it has a extremely high power. Hall claims, that Christianity identified dragon with Satan: “Since the Latin draco means either dragon or snake (as in Greek) Satan is represented in either form”. There is quite interesting thing that Cirlot noticed as well in the case of dragon. He analyzes name of Herod and explains, that it contains hints to that hybrid: “it is interesting to note that the anagram of Herod in Syrian – ierud and es – means ‘flaming dragon’”. And if we take The Book of Revelation 12, we get similar vision concerning the dragon. The author says us about “ancient serpent”, who actually is the great dragon, but understood in negative term, because he leads the whole world astray. But what is the most important in that case, appears when we get Nietzsche’s Zarathustra and locate him on the opposite side of the Christianity. We get then Zarathustrian dragon as the one who wants to defeat old structure of the world in the same way the biblical “ancient serpent” does. Nietzsche likes hints at all, so we can assume, this one is the best one. Didn’t he create Antichrist as an opposition to old values of the world? I have no doubt that Nietzsche feels it very hard. He tells us about it in his Human, All Too Human, where we can read following statement: “If a man wants to become a hero the serpent must first have become a dragon”. It is obvious that Nietzsche’s prescription for being stronger in power (privilege of a hero) is inner transition in the image of serpent to dragon transition. Nietzsche was engaged in ancient Greek culture. Let’s see then some interesting things like Hall introduces in his dictionary, concerning the Greek cultural high places, and let’s relate it to Nietzschean views. Hall claims: “The Greeks, like many other peoples, regarded them as the reincarnation of the spirits of the dead, in particular, the heroic ancestors of clan or family. The sloughing of the snake’s skin was evidence of their rebirth and immortality. Shrines, as at Delphi, were erected where live snakes were kept and fed by priestesses, a familiar scene in Attic vase painting”. At Delphi we can find a shrine of Apollo, but most important is his attribute which Hall emphasized clearly in following sentence: “His attribute of a snake was derived from an ancient ophidian cult at Delphi and also recalls the myth of his slaying a python”. It is very significant that Ophionus is illustrated as a snake wrapped himself around Orphic Egg as well as snake in Egyptian mythology wrapped around sun above Ra’s head. I assume, that Nietzsche took on all of this cultural signs on the board in his uncompleted vision of dragon. He used Apollo but also many others symbols in his works as a one of the most important as well as symbols of the snake and sun appearing in Thus Spoke Zarathustra. This signs cannot be empty, they look like were linked by thoughtful line with only one direction ahead – the timeless dragon. Moreover, I consider Thus Spoke Zarathustra as the main source for symbolism of dragon indeed, therefore the book is going to be main subject for present discussion. Additional thing making me convinced for this way of interpretation are Eugene Fink’s believes that if we want to start up analyzing Nietzsche’s philosophy we should consider just this piece of work at first: “It introduce the noon of his thinking in which his spiritual power reach their climax”; furthermore: „Zarathustra exposes the crucial fundamental thoughts (…)”; and: “The time after Zarathustra is merely an unfolding or an exposition of whatever is expressed there”. Thereupon we should take a look on thought if symbolism of dragon is the one through which interpretation of Nietzsche’s philosophy goes straight ahead? The most important threads I will try to explore and relate with other major Nietzsche’s works as Fink’s recommends. Nietzsche’s metaphoric view of the dragon is familiar to Plato’s allegory of the cave. Both have huge semantic weight, but they are different in body matter. However it is not good way to locate them on the opposite sides to make them similar to Heraclitus’ unity of opposites doctrine or Hegel’s dialectic doctrine. But it seems to be good solution to describe one against background of another because even if they are depicting in different ways, they have the same meaning – transcending beyond the human nature. Cezary Wodziński noticed that in compositional schedule of Thus Spoke Zarathustra Nietzsche conducts a puckish lingual playing with distortional platonic tradition. Wodziński compared Nietzschean Zarathustra with Plato’s sage, man full of wisdom, what leads straight down to the Plato’s cave where the process of cognition begins. And only when he turns away from himself will he leap over his own shadow – and truly! Into his own sun. All too long he sat in the shadows, and the cheeks of this ascetic of the spirit grew pale; he nearly starved on his expectations. This short passage taken from Nietzsche’s Zarathustra is similar (semantic aspect) to Plato’s passage taken from his work Republic (514a-520a) where ancient philosopher had been describing a case of liberation from chains and remedy from unawareness. Plato claims that all of those procedures he analyzes to get freedom from cave, are extremely hard to achieve. And if they are not prepared gradually, entire cognition process can be completely ruined. It is quite obvious that Plato exposes his allegory in fabulous, easy illustration whereas Nietzsche says the same using vague depiction with elements of dialectical methods. Karl Jaspers named that kind of discourse as Real Dialectic and described in following way: “(1) the movement is not an arbitrary and undirected process; it is self-related. Nietzsche calls it ‘ overcoming (Überwindung)’. (2) Due to its connection with the possible Existenz which inspires life, this thinking is substantial and quite distinct from intellectual arbitrariness. (3) It is constructive in its purpose, though by its very nature it is in constant danger of sinking into negation. (4) It has direction but no terminus, and the ground that is lost is never regained; its substantiality consists simply in its being-on-the-way”. This long passage reveals the synthesis of natures of the snake and of the predatory bird are possible in existential context and should be put into interpretation so far. 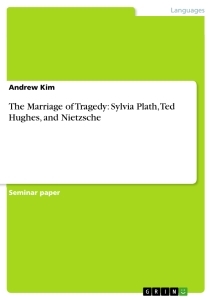 So let’s get closer then to this matter to better understand Nietzsche’s way of discourse. There is no reason against comparing cave to human existence at all. I mean Plato’s illustration about liberation from the cave may be catch up as an underlying allegory for Nietzsche’s illustration about self development. Human being as a cave where liberation process begins. Maybe that is why Nietzsche claims, live is that: “which must always overcome itself”, and furthermore, nature of human being: “must be struggle and becoming and purpose and the contradiction of purpose” ? Everything depends on or derived from the will to power. Human being must be strong enough to overcome itself and move forward to another existential stage. Thus, the will generates degree of power but the will itself arises according with struggle within. That is why Nietzsche thinks every single struggle carries on marks of victory. The one who engage in struggle, clearly must want oneself to win it. In general terms it is now more visible it affirmatively stimulates live: “You should be the kind of men whose eyes always seek an enemy – your enemy (…). You should love peace as the means to new wars (…). I do not recommend work to you, but struggle instead”. It is very important that Nietzsche assumes the struggle has no end. It is like endless rivalry while the aim point has been achieved but suddenly after, there appears another one to get to, and so on. And it seems like it was a bit of explanation for contradiction of purpose that philosopher mentioned in previous quotation. However particular purpose or aim point is not enough satisfying. It gives you only a little of pleasant but in the same time it makes you realize there is another one degree to defeat. 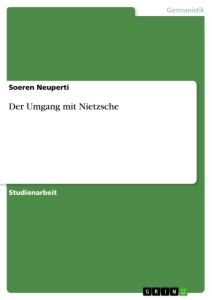 And this is how life is going on in its development – Nietzsche claims. And development of life leads straight ahead to the enlightenment with cognition. Life itself wants to build itself into the heights with pillars and steps; it wants to gaze into vast distances and out upon halcyon beauties – therefore it needs height! And because it needs height, it needs steps and contradiction between steps and climbers! Life wants to climb and to overcome itself by climbing. Watching at this extract of Nietzsche’s work, we can assume that he takes life as an eternal conflict between to opposite substantial aspects which is growing up all the time to overcome human existence and enter into the new kind of perception through which cognition will be more possible. And once again we see how this specified sort of chasing has affirmative connotations. That is why we should rather take it more as a Pluralism of Contradiction where two opposite aspects work one for another even if they have opposite natures then a kind of dialectical form where two negative aspects work one against another. And this is exactly what Henryk Benisz claims and I think Jaspers believes as well when he writes about Real Dialectic. To get this kind of synthesis it is strongly required to use both at once, the will and the virtue in essence. Nietzsche says about leaping (springen) beyond own shadow what looks like another stylistic device in his opus refers to self overcoming and following statement: “Your should build over and beyond yourself. But first I want you built yourselves, square in body and soul”. Nevertheless, to accomplish the act, means to have the will to power at first and power itself. The question is now what actually generates this elements indeed? And when we look on next extract from Thus Spoke Zarathustra we might get the answer. But the awakened, the knowing one says: body am I through and through, and nothing besides; and soul is just a word for something on the body. (…)Behind your thoughts and feelings, my brother, stands a powerful commander, an unknown wise man – he is called self. He lives in your body, he is your body. Even if Nietzsche believes in naturalism (i.e. only natural law and forces operates in nature), he does not reject soul but treats it as a main and the most important product of physiological process. He claims that this is an essence of human being and as such we can name it das Selbst, as Nietzsche suggests. In the late period of his philosophy he does not change view in this matter. He still believes that consciousness is a result of human body stimulation as he did earlier. The “spirit” something that thinks: where possible even “absolute, pure spirit” – this conception is a second derivative of that false introspection which believes in “thinking”: first an act is imagined which simply does not occur, “thinking” and secondly a subject-substratum in which every act of thinking, and nothing else, has its origin: that is to say, both the deed and the doer are fictions. Das Selbst is then both a substantial generator and accelerator as one for the will to power and the act of power projecting a specify way of thinking. Jaspers describes it as a substantial movement: “the thinking that is a constant substantial movement of his (human being – K.P.) whole nature”. Since it is possible to release a substantial movement, it is possible to set up an individual shape of it as well. Nietzsche believes that the best instrument to do it is gaining episteme, the purest knowledge, because, as he claims: “Knowingly the body purifies itself; experimenting with knowledge it elevates itself; all instincts become sacred in the seeker of knowledge”. Undoubtedly we can say this is Nietzschean Gaya Scienza, and undoubtedly it seems like spiritual elevation or even more, like an intellectual evolution let the creation of new reality begins and goes on straight upward: “Upward flies our sense; thus it is a parable of our body, a parable of elevation”. Self overcoming is like leaping up and flying to the sun direction – shadow existence disappears and human spirit gets clearer. It has absolutely crucial matter due to its epistemic weight which shows how terrestrial being is able to elevate itself on to celestial being level instead. Let’s look at this closer. Nietzsche compares terrestrial nature to the serpent whereas under the sun he hides comprehensive knowledge – episteme. Entire way crossed by serpent from the bottom of the cave to the heart of the sun we can entitle now as substantial movement of this reptile: “It is power, this new virtue; it is a ruling thought and around it a wise soul: a golden sun and around it the snake of knowledge”. We see now that serpent does not get knowledge unless he get the sun. As we can assume, serpent must develop himself to gain the aim point. As a terrestrial reptile it has specific feature that is skin molting when the eye become cloudy or blue-colored. I think Nietzsche mindfully transposes this physiological transformation to the existential development of human being – all of this significant features cannot be use by philosopher in random way. How it is possible for terrestrial being as serpent is, to get celestial being as sun is? For that question Nietzsche gives another metaphorical answer. An eagle cut broad circles through the air, and upon it hung a snake, not as prey but as a friend, for the snake curled itself around the eagle’s neck. This great depiction of snake curled itself around the eagle’s neck states the crucial moment for the intellectual evolution of human being in substantial movement. It tells us about the direction of Nietzsche’s incomplete ways and intentions concerning the symbolism of the dragon. Before we start to describe the meaning of this symbol we must get closer to the relation between snake and eagle at the first. Snake is used by Nietzsche for metaphorical depiction of terrestrial nature and existential transformation, whereas the eagle is used by him for depiction of celestial nature. In eagle nature lays flying on the highest and uncomplaining, carefully looking out for the target which is the sun itself: “My eagle is awake and like me he honors the sun. With eagle’s talons he grasps for the new light”. Both “eagle’s wings and snake’s cleverness” extremely match each other because they are completely different in their natures but similar in the target. It is rather like, already mentioned, Pluralism of Contradiction or Real Dialectic that makes an existential dyad linked together in substantial movement up in the air and straight ahead to the sun of knowledge. But separation of two Zarathustra’s animals makes them incomplete at all. The snake comes back to the cave, while the flying eagle gazes down on the ground instead, not up on the sun. So this is Nietzsche’s the most important advice not to separate them but make the best to keep them linked together so in the long run it makes possible gaining new shape of being. Nietzsche describes it as a delicate column: “ever more beautiful and delicate it becomes, the higher it rises, but inwardly harder and more resistant”. Gaining an upper heights the wanderer creates new form of reality. Nietzsche believes that reality itself is creation that human being makes up using both senses and reason derived from the matter such as “the formless unformulable world of the chaos of sensation”. This dependence is described by philosopher in following statement: “to impose upon chaos as much regularity and form as our practical needs require”. It means the wanderer must work with his senses and reason upon the matter of chaos to create the best kind of reality. The higher his cognition is, the better creation he is able to project. And practical needs that Nietzsche says about, depends on the highest point of the will to life because: “The degree to which we feel life and power (…) gives us our measure of ‘being’, ‘reality’, not-appearance”. Being on the highest of cognition makes the reality that has been projected by wanderer harder and more resistant as Nietzsche claims. And its influence on das Selbst undoubtedly is highly glorious because of synthesizing qualities of snake and eagle within the wanderer being. It changes all the time to get another transformation which is Nietzsche’s column. As we can assume now it still has two significant cells inside but they seem to be a little bit different then they was before. Let’s look at this deeper “to dismantle the artful edifice” stone by stone. Both snake and eagle, as a substantial elements of human being the wanderer is, make a dyad that could be a couple of cells curling around Nietzschean column. But it is also similar to another dyad that Nietzsche lists at the very beginning of his philosophical discourse, and what are Apollo and Dionysos. Imagery of first one is very close to the imagery of snake, whereas imagery of the second one is close to the eagle. Benisz notices that Dionysos affirms the whole existence of life with its constituent act of rising. In the opposite side there is Apollo who converts dionysiac abandon in vivid, beautiful world of illusion – claims Benisz. And if we look at Nietzsche’s early work The Birth of Tragedy we will find concurrent description of Apollonian nature: “According to the etymological root of his name, he is 'the luminous one' (der Scheinende), the god of light; as such, he also governs the lovely semblance produced by the inner world of fantasy”. As the snake curled around the eagle’s neck and flying upward eagle itself together as one design the way for Nietzschean wanderer, so the harmony of self development is provided by two substantial elements balanced out each other which are Apollo and Dionysos. Now that pluralism of contradictions both of elements heighten the wanderer act of power and his will, the substantial column grows up in its movement. With two opposite aspects inside it looks like an existential spiral breaking on through the world of chaos. This very sensitive and delicate description of two elements confrontation we can juxtapose with cratophanic exalted dance of power  as well to get more visible depiction of the ending of transformation process. Chaos as an undefined environment is used by wanderer for projecting a new reality by principal categories he holds like logic (geometry and arithmetic). And we can say even more: “The creator wanted to look away from himself and so he created the world”. Everything what had been already projected from the chaos, now is completing within the column and between two elements of existential dyad. The higher substantial movement of the column is, the more supportive environment of its interior appears, so it can bears heavier burden. It means the chasm between apollonian and dionysiac elements enters into the expansion with the strengthen of projecting and completing inside phenomena at the same time. The column not only gets higher upward but extends its boarder either, so it can modify to as solid as stone edifice. It is quite understandable now that wanderer might be compare to a smith who uses his instruments for carving his magnificent inner structure so he could say after Zarathustra: “Now my hammer rages cruelly against its prison. Shards shower from the stone: what do I care?”. And this is huge sign for becoming dragon due to both dynamic substantial movement and dynamic transformations within the wanderer’s inner world. So let’s get to the point. Nietzsche says about the dragon three times in his Thus Spoke Zarathustra. First depiction shows the dragon as a great monument bearing the old values. Who is the great dragon whom the spirit no longer wants to call master and god? “Thou shalt” is the name of the great dragon. But the spirit of the lion says “I will”. “Thou shalt” stands in its way, gleaming golden, a scaly animal, and upon every scale “thou shalt!” gleams like gold. The values of millennia gleam on these scales, and thus speaks the most powerful of all dragons: “the value of all things – it gleams in me”. I believe that Nietzsche wants to express the transposition of draconity from the mythological area straight ahead to the epistemological and axiological areas. When we look at this transposition closer we will find out that under the structure of this subtle process there are still the same elements that Nietzsche has already used for description of both Apollo and Dionysos natures in human being’s life at first and then for description of another one dyad – snake and eagle. Another intriguing thing in the statement above is designation of the dragon and meaningful description of his golden scales. The dragon in his appearance of old values looks like a bearer of categorical imperative through which human being assigns his morality. This categorical imperative was built upon hard foundation because many of generations worked on it before setting up the way of reality and its values of good and bad. There should be no doubt why Nietzsche calls dragon the most powerful – it is the monster who performs perspective of reality using his act of both will and power on human beings’ perception. This is exactly how historical epochs and their values were created. Based on power and existence of the dragon they were arisen and disappeared as fast as the cruel and powerful hybrid existed and kept them in standing. So Nietzsche makes an attempt to explain parallel between existence of the dragon and subsistence of the historical epochs. It leads us further of course within our discourse, and tells that with the end of the dragon existence there inevitably will end reality and values of the historical epoch: “Change of values – that is the change of creators. Whoever must be a creator always annihilates”. And this metaphor introduces next one depiction of the dragon described by Nietzsche. It refers to vision of newborn hybrid that is the overdragon itself – the bearer of completely new conception of reality with its new values where human being will be able to express self development in the best way. But some day bigger dragons will come into the world. For in order for the overman to not lack his dragon, the overdragon that is worthy of him, much hot sun must yet glow on humid jungle! Having the last one depiction we can get to know that behind the newborn dragon there exist Zarathustra itself with his animals – snake and eagle. While Zarathustra was bitten by the snake, he smiled and ask rhetorical question: “Since when did a dragon ever die of snake poison?”. And it reveals true nature of Nietzsche’s thoughts about Zarathustra and his subtle spirit which was growing up for all times since when old wanderer get started his traveling through the chaos of sensation. His spirit of apollonian and dionysiac elements get changed into snake and eagle dyad so that it could make extremely growing upward column from which the new dragon was born. “For he is still the most solid tower and will” – Nietzsche says. New conception of reality with its values becomes truth with newborn hybrid bearing on burden of human being’s life. As we saw this is a subtle and perfect act of creation, and it has nothing common with resentment. Benisz claims that genealogy of new values has a shape of action because it was born from the spirit of creation. And it lays in the opposite side of reaction which is derived from revenge and resentment at all. All these three depictions are compatible each other and set Nietzsche’s allegorical abilities forth the day light. In this chapter I pay my attention on Nietzsche’s depiction of genius. I am especially interested in his view concerning the birth of genius. How it is possible the Nobleman is getting started to be a genius, and even further, what kind of attributes belong to this intriguing personality and if we can equal them with attributes of the dragon. I am still interested in presence of the dragon symbol in the Nietzsche’s philosophy but I depict only a little matter of it because mainly I pay attention at the way how it was arising in his mind. I mean, specific inspiration that impacted on incomplete shape of this symbol in his works. In this perspective, large portion of my paper I use to describe relation between Nietzsche’s Zarathustra and biblical Moses. In my opinion the things are going on in the biblical narration are very similar to the things that happen in Thus Spoke Zarathustra. It is remarkable that in the first opus we have ended composition, but it is not in the second one. This is some kind of opportunity that let me make up mind of logical conclusions that fallow the premise of both opuses. Gained conclusions let me assume that Nietzsche somehow stopped developing idea of dragon symbolism intently or not. Thus paper shows the new analyze of mentioned motives in Nietzsche’s works that can proves never unleashes, specified intention (if we look at this by the symbolic perspective) of the author himself. Nobleman as a reference describing the one whose will to power could change human being and safe the fate of the world appears in Nietzsche’s works with high frequency. Important motives tying around that issue can be found especially in Thus Spoke Zarathustra but also in his Beyond good and evil, Human, All Too Human, separately considered The Wanderer and his Shadow, The Antichrist, and unpublished manuscripts edited by Nietzsche’s sister Elizabeth – The Will to Power. They contain numerous additions making away for better understanding and smoother labor on available research material in order to catch up the meaning of this curious issue. History teaches that the branch of a nation that preserve itself best is the one in which most men have, as a consequence of sharing habitual and undiscussable principles, that is to say as a consequence of their common belief, a living sense of community. Here good, sound custom grows strong, here the subordination of the individual is learned and firmness imparted to character as a gift at birth and subsequently augmented. The danger facing these strong communities founded on similarly constituted, firm-charactered individuals is that of the gradually increasing inherited stupidity such as haunts all stability like its shadow. In mankind history there are two poles, relevant and contradicted at the same time. There is a gentle link between them which gives inextricably connection. First one is human society, second one is individual being. It is remarkable that confrontation of this two contraries goes on because of the human nature which once emanates the will to cross the line of individual perception in order to get the transcendence, but other time it emanates the will to overthrow broken-down society and rebuilt another, better one. Looking at this with large dose of attention, we can find out it is not possible to set up community full of harmony unless the noble one, who has the will to power to gain cognition. It could be a good idea to rise this mechanism up to Nietzschean perspective on human nature where two halves of live – Apollonian and Dionysian – combined together determine man activity. Perhaps the same structure is stretch across inside the one cultural field society? Then we would have Apollonian stream emerged as a force that models an extraordinary community according with ideal image, what provides worthy and privileged life. We must remember that Apollo represents “all the arts through which life is made possible and worth living”. Besides, it is important to emphasize that Nietzschean Apollo is a solar god what is derived from the meaning of his name: “According to the etymological root of his name, he is ‘the luminous one’ (der Scheinende), the god of light”. For this reason we can say that he denotes The Sun of Cognition – place where Greek ‘ episteme ’ lives and where human endeavor should be directed due to cognition. That is why Nietzsche says about Apollo as following ‘his eye must be “sunlike”. Conclusion must be done at this moment such us Apollo subsumes as a god that rise up ideal conception of perfect reality in human being mind. That intellectual conception is projecting outside of him as a Noble man society. In opposite, there is Dionysiac stream which gives powerful and vital will to keep human being alive. There is also another implication of this subtle depiction we can cover up now. What we state as Apollonian and Dionysiac whilst considering human being, might be subsume as two basic forces generating a process of creation a community whilst considering society existence. In general terms, each Dionysiac element aims to projection of authority – Nobleman. He is the one who is able to manage entire community because of the will to power he had acquired. Singing and dancing, man expresses his sense of belonging to a higher community; he has forgotten how to walk and talk and is on the brink of flying and dancing, up and away into air above. His gestures speak of his enchantment. (…) there now sounds out from within man something supernatural: he feels himself to be a god (…). Here man, the noblest clay, the most precious marble, is kneaded and carved and, to the accompaniment of the chisel-blows of the Dionysiac world-artist, the call of the Eleusinian Mysteries rings out: “Fall ye to the ground, ye millions? Feelst thou thy Creator, world?”. More important – it connotes comparison nature of Nobleman to the dragon nature what should be depicted as a hybrid of a snake and a predatory bird either. First one, wild reptile represents power of physical world, second one, nimble animal represents a metaphysical world what was already described above. They are connected one another to build up excellent token of power – the perfect organism who can beat physical world and break on through to the metaphysical side. We can see now how it does work – community, where every human being inside is filled up of this two, wild and nimble halves of life, gives birth to Nobleman who is genius himself. So we can name this process as a liberation to existence because only Nobleman is able to catch up transcendence, where e pisteme lives, and, moreover, only episteme provides a worthy existence in the physical world. But what exactly is liberation to existence and how is it possible inside of community? First of all there is no definition of liberation to existence in any of Nietzsche’s works. It is rather used by me to describe specified state where human being is close to acquire deeper knowledge. It must be emphasized that there are two opportunities to achieve that state. A Noble community which is elusive for human being deprived of genius, so it remains only within the realm of wishes for now and must be exclude. But the other one is community of décadence, where its condition is destructive for any man inside of it. To tackle this concept we must remember that décadence means lack of will to power and Apollonian attitude leads to illusion. Community organization comprising of Apollonian minds must get collapse due to entangled with metaphysical dimension. “Release and redemption through semblance” is nothing but lost in the decadent illusion because it destroys life instincts. I call an animal, a species, an individual corrupt, when it loses its instinct, when it chooses, when it prefers things that will harm it. A history of the “higher feelings” the “ideals of humanity” – and I might have to tell this history – would amount to an explanation of why human beings are so corrupt. I consider life itself to be an instinct for growth, for endurance, for the accumulation of forces, for power: when there is no will to power there is decline. My claim is that none of humanity’s highest values have had this will, – that nihilistic values, values of decline, have taken control under the aegis of the holiest names. But there must be one between plurality who feels a bit of strength or wishes to have it at least (otherwise community is lost forever). That is enough to raise up from the community of decadence and begin the way of liberation of existence. This is the solar road through which Nietzschean dragon goes making real his existence. Nietzsche notes this dependence clearly in following statement: “Degenerate natures are of the highest significance wherever progress is to be effected. Every progress of the whole has to be preceded by a partial weakening. The strongest natures preserve the type, the weaker help it to evolve”. As we see now, liberation of existence must be even more than simply preservation of the type by strongest ones. It is rather an evolution that seems like it was sort of overleap the boundaries of weaker ones and get to direction of Nobleman. In this way, that what had decomposition marks before, now arises as a free spirit whose will is going to be creation of new desirable conception of reality. Within its boundaries new definition of life will be projected. Life as progress, so risk and death together as one. That is why it is going to be extremely different than old, decadent definition of life which meant only some kind of survive, no matter how, just survive. This is so much important to understand that using symbolism of dragon in Nietzsche’s philosophy context I fiddle with delicate metaphor to impress pure power and cognition of Nobleman, who create new one conception of reality. Rearing up selfhood of this individual seems to be long lasting way with suffering but worth of the price, which is cognition indeed. Basic thesis of this issue are located in Nietzsche’s Human, all too human, mainly in chapter focused on tokens of higher and lower culture. Making analyze of this part of the book, we can see how esprit fort is becoming alive and reorganizing reality with the new portion of his live – leaving society and projecting world according to his own individuality. Leaving society is involved with rejection of its tradition what appears as difficult task for everyone who claims to do that. Society does not have an empathy for esprit fort at all, because it is against the fundamental values of its communion, thus social disdain, antipathy and hatred seem to prevail. But it is not waste effort trying to beat it and get higher above the society. It gives attempt to purification at the first step, thus it is worth the price. The one, who will get it becomes a genius itself. Despite rearing up of esprit fort is mainly initiated by community, his power may grow up beyond reach of its boundaries. Spirit becomes noble whilst he goes out up to the hills and comes back again. Relationship between society and esprit fort begins to change then. It is more unbend than it was before. Nature of esprit fort is similar now to Nietzsche’s Zarathustra, solitary one, who desired to save humanity by reorganizing its warped society structure. But Zarathustra has not been a dragon yet (in meaning set up in this paper), that is why he failed. Only then he went out to his hermitage – placed up faraway beyond the time and the man – where his animal, snake and eagle lived, he got off human being and transfigured his life. His spirit grew up and connected with snake and eagle in one body. That is how Nietzsche could see metaphysic hybrid, which is a dragon, but he has never said about it directly. Nietzsche’s thoughts are drifting around this hybrid still but never reach it at all. It looks like philosopher, for long time had a premonition of this metaphysical and symbolic transformation from Zarathustra’s esprit fort to the almighty dragon but blinded by “veil of Maya” was not able to spot the outline of this close idea. The way in which a prisoner uses his wits in the search for a means of escape, the most cold-blooded and tedious employment of every little advantage, can teach us what instrument nature sometimes makes use of to bring into existence genius – a word I ask to be understood without any flavour of the mythological or religious: it takes it and shuts it in a prison and excites in it the greatest possible desire to free itself. … then perhaps, a spark as it were thrown off by the fearful energy thus ignited, the light of genius will suddenly flare up; the will, made wild like a horse under the rider's spur, will then break out and leap over into another domain. It is very remarkable similarity between Nietzschean tale about Zarathustra and biblical tale about exile of Moses and his people from the Egypt, his transformations at the top of the Mount Sinai and conquest of Promised Land by Israelites. Using Nietzsche’s nomenclature, Moses has all this distinguishing characteristics which allow state him as a worthy one, full of will to power genius, who redeemed Israel by triggered off from Egypt supremacy and projected new conception of reality refers to biblical Canaan, land flowing with milk and honey. This act of redemption is equal to liberation from community organization, so called here liberation to existence. For better understanding the hint we must look at this closer. Putting a twist on thing of the Moses it is good to focus on his running to the desert and association with community of Midianites, a small part of dwelt in the desert near Mount Sinai. Right there being somewhere of the mountain Moses had a revelation, when angel appeared in flames of a burning bush and called out from it to Moses. We could say that flame of the bush set spirit of Moses alight. What was terrestrial being at first, under influence of god’s flame of truth turned into celestial being later. Therefore it was that kind of transformation which Nietzsche could have named the liberation to existence. It was also a very beginning of further metamorphosis into dragon being as we see soon. Let’s have a look at following comparisons. Nietzschaen Zarathustra leaves his mountain and goes back to the city where he teaches about ideal community existing under the justice and perfect law. In the case of Moses things are going on in similar way. Being inspired by god’s flame (as someone would say – Promethean flame) Moses leaves desert nearby Mount Sinai and goes back to Egypt where he teaches about the only truth that set his spirit alight. According to biblical tradition, next one transfiguration takes place at the top of Mount Sinai. Crucial thing is following, the transformation caused important resonance because it left on the Moses’ face lasting and curious sign: “When Moses came down from Mount Sinai with the two tablets of the covenant law in his hands, he was not aware that his face was radiant”. We do not know, what author of the text wanted to tell us explicitly, but the one thing is certain, word qaran in original version had two meanings. Depends on the translation and context it means both “the radiance” and “a horn”. Nevertheless, in spite of translation it is quite likely the author of mentioned passage used polysemous Hebrew word קָרַן (QRN) right there. It is very important to point out that word קָרַן appears in Hebrew Bible at least twenty times and mostly in evidential support for “a horn” meaning, not for “a shine” or “the radiance” meanings. Especially interesting one is meaning of קָרַן used in Ezekiel: “On that day I will make a horn grow for the Israelites, and I will open your mouth among them. Then they will know that I am the Lord”. It is very impressive passage awaking imagination that refers to mechanisms concerning birth of the dragon from the spirit of Zarathustra. A lot of things indicate that symbol of horn in biblical tale about Moses was not use coincidentally. Moses, who had had substantial transfiguration at the top of Mount Sinai became a hybrid with horn and brought tablets of the covenant with new kind of values. Presumably they will be used as fundamental issue for projection of new conception of reality – new society communion. it has waged a war to the death against this higher type of man, it has put all the deepest instincts of this type under its ban, it has developed its concept of evil, of the Evil One himself, out of these instincts – the strong man as the typical reprobate, the “outcast among men”. (…) it has made an ideal out of antagonism to all the self-preservative instincts of sound life; it has corrupted even the faculties of those natures that are intellectually most vigorous, by representing the highest intellectual values as sinful, as misleading, as full of temptation. Designing Antichrist as a lit figure, Nietzsche could implicitly have endorsement for values established at the top of Mount Sinai, because its agreed with his idea of arising Nobleman through liberation to existence what, in general terms, leads to thesis about heighten life. Actually this values could be both exposed and transposed by Nietzsche to his Zarathustra lit figure. It is worth to mention and maybe linked somehow with current discussion that Nietzsche, in introduction to his The Antichrist, claims that the opus can be highly understood by readers who have already caught a clue of Thus Spoke Zarathustra. Overall, this, in brief, is what I wish to say, it seems like Nietzschean Zarathustra was first part of higher, sophisticated construction directed straight up the metaphysical conception of dragon. Perhaps mythical pattern of Moses’ values emerges from behind this philosophical conception? Even though Nietzsche says nothing explicitly it is very likely that he could has carried the idea on his unusual mind. For these reasons we can do hypothetical assumption, that there exist two opposite poles where first one has decadency values, whereas second one is determined by life-giving values. First one is focused on delusion of life after death, whereas second one do not even consider dimension of afterlife, because it could have had bad consequences for current life at all. The most important is then evolution of today human being life to the dragon form. It is quite obvious to ask now whether Zarathustra, as one of favour and important characters of Nietzsche’s philosophy, was absolutely square away in the semantic point range? Moreover, whether philosopher, sensing of come along the metaphysic evolution of Moses to symbolic dragon nature, wanted to design and square away his Zarathustra, according to this biblical pattern? If we read carefully sentences of The Apocalypse of St. John the Apostle, we can claim, that Great Dragon is several times identified as old Serpent. Perhaps the author of the ancient text has done it deliberately using these two characters as a synonym of one powerful thing ? In New Testament serpent symbolizes all these things whose nature is firmly ingrained in evil. It is totally in opposition to Old Testament where the same animal refers to polysemous symbol, moreover, it mainly has an affirmative features. For example, in Book of Numbers we have described interesting incident which took place on the desert during the exile of Israelites. To heal the sick people who were bitten by the snakes, Moses designed copper snake and set him up on the standard: “Then the Lord said to Moses, ‘Make a fiery serpent, and set it on a standard; and it shall come about, that everyone who is bitten, when he looks at it, he will live’ (…)”. Snake motive is also attended in Nietzsche’s tale about Zarathustra. Beside eagle, it is one of the sage animals. However, key illustration is that, when Zarathustra receives staff from his disciples, with ornament of snake of knowledge encircled around the golden sun: “It is power, this new virtue; it is a ruling thought and around it a wise soul: a golden sun and around it the snake of knowledge” – thus spoke Zarathustra. Either biblical Moses and Nietzschean Zarathustra have many attributes in common and let us to find out that both of the characters are literary related each other. Enigmatic metaphor of snake connect them together in one common symbolic dimension. However Moses evolves under the influence of the only truth expressed by biblical authors through tetragrammaton JHVH or God’s name El, but Zarathustra does not. It looks like constructing of this character was suddenly stopped, or, to be more precisely, stifled. I believe the reason of stifled could be vision of Zarathustrian dragon looming over Nietzsche’s mind, not crystallized yet, but sensed very hard. Biblical Moses could be a pattern, or some kind of perspective for Nietzsche through which he was drawing a brand new character, so he did the same when he specified human nature through prism of Greek Gods like Apollo and Dionysus. There is no doubt that Zarathustra was growing up in Nietzsche’s mind. Whole volumes of Thus spoke Zarathustra was published within few years. First two was written in 1883, third volume, in 1884, and the last one, in 1885. First volume has definitely closed composition, but Nietzsche did not stop think about Zarathustra, just like his mind was consumed by it somehow. He quickly begun create continuation with new ideas that he put into narration of second volume. Third and fourth volumes was written late but they were like logical evaluation of ideas mentioned in first two parts. Asking a question if Nietzsche was going to write next one volume about Zarathustrian dragon has no answer. But studying selected passages of his works, we are able to catch up a lot of either unknown and curious motives. In depth analysis of them lead us unfortunately straight ahead to dead end. So many scholars leave them aside paying attention only on the most dominative ideas of Nietzsche’s philosophy. I truly believe that is what actually happened with symbolism of dragon in his philosophy. New ears for new music. New eyes for what is most distant. A new conscience for truths that have hitherto remained unheard. And the will to economize in the grand manner – to hold together his strength, his enthusiasm… Reverence for self; love of self; absolute freedom of self…. How would new conception of reality works and what attributes it had indeed? Would it be similar to structure of ideal state or, maybe, its excellent structure was derived from absolute of the nature? I would think, that for Nietzsche second solution would have been closer. The best starting point for explanation of his view is to take a look on human being without of morality, cold and adamant as pure nature: “Nature cruel in her cheerfulness; cynical in her sunrises. We are enemies of sentimental emotions” – he states. Nietzsche has a vision of strength man who has a will to power, moreover, man who is not degenerated by, what he calls, good and bad. Morality is reason of sentimental emotions, thus ethical things must be described by weakness and sickness. Avoiding them is simply desirable because it drives to attributes that can be achieved only with hard intellectual struggle within, with no morality around. A new state based on nondegenerate conception of reality must be emanation of strength human being, which can be named now as a Dragon. Nietzsche suggests then running to the world of the nature where beauty of its art is connected with cruelty: “Our moralistic susceptibility to stimuli and pain is, as it were, redeemed by a terrible and happy nature, in the fatalism of the senses and forces. Life without goodness”. Of course, this is one of many metaphors used by Nietzsche himself tactically to show up explicit, the human being participates in nature, so in turn it must develop harmony between them to grow up in power as nature does. If nature is set up to developing then human being must be synchronized with nature tight to develop as well. This kind of organic evolution gives extraordinary and substantial transition from all physical things within human being to all intellectual things in his mental life. The straight way to enter on this way is life instinct stimulation. Depending on organism predisposition and strength of stimulation Nietzschean genius is getting born with full of intellectual wealth or, alternatively, when organism ability is too weak Nietzschean decadence is getting born with full of intellectual poverty. A dragon’s stimulation seems like the one providing ultimately and everlasting conception of reality. In the doctrine of socialism there is hidden, rather badly, a “will to negate life”; the human beings or races that think up such a doctrine must be bungled. Indeed, I should wish that a few great experiments might prove that in a socialist society life negates itself, cuts off its own roots. In order for a particular species to maintain itself and increase its power, its conception of reality must comprehend enough of the calculable and constant for it to base a scheme of behavior on it. The utility of preservation – not some abstract-theoretical need not to be deceived – stands as the motive behind the development of the organs of knowledge – they develop in such a way that their observations suffice for our preservation. In other words: the measure of the desire for knowledge depends upon the measure to which the will to power grows in a species: a species grasps a certain amount of reality in order to become master of it, in order to press it into service. Premonitions of upcoming dragon are strictly involved with many hints taken from Nietzsche’s previous both philosophical and literary arts like early conception of two aspects of life, that is Apollo and Dionysos, or a little bit later symbols of snake and eagle, Zarathustra’s animals, and at last, conception of reality taken from his posthumous opus The Will to Power. All of them are extremely important if we want to get to the point of Nietzsche’s hidden symbol that is the dragon in the shape I was trying to depict above. Laboring with Thus Spoke Zarathustra we can find out even more then philosopher put on its visible side the opus, and comparing this untold thoughts with his other written works we are able to reveal a great composition that Nietzsche has created but never expressed directly. What he did express directly is distinction between aristocratic and decadence spirit. Nietzsche is aware that only aristocratic spirit feels good enough metaphysical world of high values which are applied to projection of life-giving world. But when aristocratic world falls down due to activity of decadence, the result must be only one. The world is getting rid of high values in favour of ignorant attitude of decadence kind. Road to liberation depicted above allows understand Nietzsche’s view on life straightening matter. The most important process described in Thus Spoke Zarathustra is affirmative self development because only within this action human perception works for projection of new conception of reality with its life-giving values. Human nature concerns both physiological and spiritual sides but Nietzsche believes that spirit is a subtle implication of physiological actions of being and it is relevant duty for everyone to pay attention of its development. It gets started from the bottom of the cave and leads through the air of freedom out of cave straight upward to the sun of cognition. Only the wanderer with spirit of Zarathustra is able to get self conversion to give birth of dragon. F. Nietzsche, Thus Spoke Zarathustra, tr. A. Del Caro, Cambridge University Press 2006, p. 27, 28. This part was published first time as a paper in journal: EPISTEME Czasopismo Naukowo-Kulturalne (ISSN 1895-4421), (2015), vol. 27, no. II, p. 121-130, and was entitled: Nietzsche’s History Of Mankind. Present version has some revisions and improvements what makes it more suitable with all parts included in the essay, so it was required to change the title as well. Notes from notebook 62=P I 8, 44 u. 180 April/May 1868, cit. : T. Słowiński, Radykalizm projektu transcendentalnego? Kantowskie źródła epistemologii Nietzschego, Wrocław 2009, p. 139. F. Nietzsche, Nachgelassene Fragmente §9 . 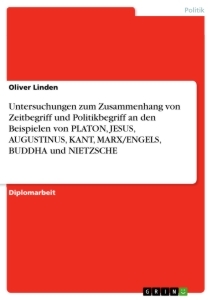 Idem, Jenseits von Gut und Böse, Erstes Hauptstück: von den Vorurtheilen der Philosophen §21. Id., The Will to Power, tr. W. Kaufmann, R.J. Hollingdale, New York 1967. 76 (Spring-Fall 1887), p. 49. Ibidem, §481 (1883-1888), p. 267. Ibid. §48 (March-June 1888), p. 30. Id., Beyond Good and Evil, tr. J. Norman, Cambridge University Press 2002. §259, p. 153. Direct quote: ” stan subiektywny, psychiczny, wewnętrzny, indywidualny, dla każdego różny, choć wielorako podobny do różnych ludzi, zwłaszcza żyjących jednocześnie i blisko siebie” (W. Tatarkiewicz, Cywilizacja i kultura [in:] O filozofii i sztuce, Warszawa 1986, p. 150). F. Nietzsche, Wanderer and his shadow [in:] Human All too Human, tr. R.J. Hollingdale, Cambridge University Press 1986. §217, p. 264. Id., The Will to Power, tr. W. Kaufmann, R.J. Hollingdale, New York 1967, p. 462-463. Direct quote: ” szczególnych, ponadludzkich predyspozycji, które mogą stać się udziałem wybranych jednostek nazwanych geniuszem” (M. Żelazny, Nietzsche ‘ten wielki wzgardziciel’, Toruń 2007, p. 192). Direct quote: “Geniusz (…), jeśli pod pojęciem tym rozumieć będziemy nadzwyczajne treści zawarte w umyśle jakiejś jednostki, zawsze jest efektem pracy, czy to tej właśnie jednostki, czy jednostek i społeczności , w których się ona kształtowała” (Ibid.). F. Nietzsche, Human All too Human, tr. R.J. Hollingdale, Cambridge University Press 1986. §24, p. 25. Id., Thus spake Zarathustra, tr. T. Common, New York: Modern Library, p. 153. Id., Human All too Human, tr. R.J. Hollingdale, Cambridge University Press 1986. §234, p. 111-112. Direct quote: ” spojrzenie na wciąż na nowo stającą się przeszłość” (M. Żelazny, op. cit.., p. 185). Direct quote: “Alles wird und kehrt ewig wieder – entschlüpfen ist nicht möglich! Gesetzt, wir könnten den Werth beurtheilen, was folgt daraus? der Gedanke der Wiederkunft als auswählendes Princip, im Dienste der Kraft (und Barbarei!! )” (F. Nietzsche, Nachgelassene Fragmente, Winter 1883-1884, 24 . See at: http://www.nietzschesource.org/#eKGWB/NF-1883,24). Direct quote: “tym nad czym wola najpierw utraciła panowanie jest własne ‘było’. Równocześnie ‘było’ może istnieć tylko mocą woli: w pojęciach, wspomnieniach, wyobrażeniach, nawet zresztą nie istnieć, lecz wciąż być powoływanym na nowo” (M. Żelazny, op. cit., p. 182). Direct quote: “Wola nakierowuje się zawsze wstecz. Jej ruch ‘naprzód’ w tworzeniu świata jest w rzeczywistości ruchem ‘z powrotem’. Tyle tylko, że u ‘ostatniego’ człowieka ruch ten przebiega patologicznie, następuje tu rozłamanie ‘było’ na ‘było’ pozostające poza zasięgiem woli i ‘było’, które się pozornie w tym zasięgu znajduje” (Ibid., p. 186). This part was published first time in following paper: “APPENDIX. Czasopismo Filozoficzno-Kulturowe” (2013-2014, Vol. II, p. 7-43). Language of paper was polish so it was entitled: Narodziny smoka z ducha Zaratustry.Szkic z teorii poznania w ujęciu Nietzschego. Present version has a lot of essential revisions and extensions but semantic layer is still the same that is why the title is so. H. Biedermann, Dictionary of Symbolism. Cultural Icons and the Meanings Behind Them, tr. J. Hulbert, New York/Oxford 1992, p. 102. J. Hall, Illustrated Dictionary of Symbols in Eastern and Western Art, Icon Edition 1995, p. 20. J.E. Cirlot, A Dictionary of Symbols, tr. J. Sage, London 1971, p. 86. J. Hall, op. cit., p. 20. H. Biedermann, op.cit., p. 103. W. Eberhard, Dictionary of Chinese Symbols: Hidden Symbols in Chinese Life and Thought, tr. by G.L Campbell, London/New York 2006, entry: Dragon. J. Campbell, The Power of Myth, New York 1991, p. 45. Eusebius of Caesarea claims, that he uses quotations from Sanchuniathon’s writings, translated by Philo of Byblos and approved as truth by the testimony of Porphyry the philosopher. Eusebius of Caesarea, Praeparatio Evangelica, tr. E.H. Gifford (1903), Book 1, Chapter X, p. 33b. F. Nietzsche, Thus Spoke Zarathustra, tr. A. Del Caro, Cambridge University Press 2006, p. 57. J. Hall, op. cit., p. 60. Eusebius of Caesarea, op. cit., p. 33b. Excellent book about Phoenician’s culture and its impact to the ancient Middle East was written by Sabatino Moscati and it is entitled The Phoenicians. F. Nietzsche, Thus Spoke Zarathustra, tr. A. Del Caro, Cambridge University Press 2006, p. 50. J. Hall, op. cit., p. 21. J.E. Cirlot, op. cit., p. 87. Revelation 12, translation based on New International Version derived from Bible Gateway https://www.biblegateway.com/passage/?search=Revelation+12&version=NIV (acces: 23.10.2016). F. Nietzsche, Human, All Too Human, tr. R. J. Hollingdale, Cambridge University Press 2005, p. 180. J. Hall, op. cit., p. 46. E. Fink, Nietzsche's Philosophy, tr., G. Richter, London/New York 2003, p. 51. Direct quote: “W planie kompozycyjnym Also sprach Zarathustra prowadzi przewrotną grę językową z przeinaczaną tradycją platońską” (C. Wodziński, Nietzscheańska maskarada: Dionizos, Antychryst, Zaratustra, [in:] Tak mówił Zaratustra, Kraków 2005, p. 333). F. Nietzsche, Thus Spoke Zarathustra, tr. A. Del Caro, Cambridge University Press 2006, p. 91. K. Jaspers, Nietzsche: An Introduction to the Understanding of His Philosophical Activity, tr. Ch. L. Wallraff, F. J. Schmitz, Baltimore and London 1997, p. 390. F. Nietzsche, Thus Spoke Zarathustra, tr. A. Del Caro, Cambridge University Press 2006, p. 89. H. Benisz, Ecce Nietzsche. Interpretacje filozoficzne, Opole 2007, p. 262. F. Nietzsche, Thus Spoke Zarathustra, tr. by Adrian Del Caro, Cambridge University Press 2006, p. 51. Id., The Will to Power, tr. W. Kaufmann, R.J. Hollingdale, New York 1968, p. 264. K. Jaspers, Nietzsche: An Introduction to the Understanding of His Philosophical Activity, Ch. L. Wallraff, F. J. Schmitz, Baltimore and London 1997, p. 392. F. Nietzsche, Thus Spoke Zarathustra, tr. by Adrian Del Caro, Cambridge University Press 2006, p. 58. Id., The Will to Power, tr. W. Kaufmann, R.J. Hollingdale, New York 1968, p. 307. Id., The Birth of Tragedy, tr. R. Speirs, Cambridge University Press 1999, p. 22. Direct quote: “afirmuje całość życia, wraz z jego konstytutywnym bólem wzrastania” (H. Benisz, Ecce Nietzsche. Interpretacje filozoficzne, Opole 2007, p. 263). F. Nietzsche, The Birth of Tragedy, tr. R. Speirs, Cambridge University Press 1999, p. 16. The idea of cratophanic exalted dance of power was delivered and described by Zbigniew Kaźmierczak in his Friedrich Nietzsche jako odnowiciel umysłowości pierwotnej, Universitas 2000. F. Nietzsche, The Will to Power, tr. W. Kaufmann, R.J. Hollingdale, New York 1968, p. 280. F. Nietzsche, Thus Spoke Zarathustra, tr. A. Del Caro, Cambridge University Press 2006, p. 20. Direct quote: ”Jego genealogia wartości jest akcj ą, albowiem przeprowadzana jest w żywiole kreacji. Jest więc przeciwieństwem reakcji, ufundowanej na zemście, urazie czy resentymencie” (H. Benisz, op.cit., p. 261). F. Nietzsche, Human, All Too Human, Cambridge University Press 1986, p. 107. Id., The Birth of Tragedy (ed.) R. Geuss, R. Speirs, Cambridge University Press 1999, p. 16. Id., The Antichrist and other writings, (ed.) A. Ridley, Cambridge University Press 2005, p. 6. Id., Human, All Too Human, Cambridge University Press 1986, p. 107. Commentators of this passage agree, that: ‘Radiance of the Moses’ face is expressed by the Hebrew word qaran, which beside of the meaning “radiance”, has other meaning as well – “a horn” (…) that is why The Vulgate has cornuta, literally: “horned”‘(Biblia Tysiąclecia, comment to Exodus. 34:29: http://biblia.deon.pl/rozdzial.php?id=85#P6). See at: Ex. 34:30, Ex. 34:35, Josh. 6:5, 1 Sm. 2:10, 1 Sm. 16:13, 2 Sm. 22:3, 1 Kings. 1:39, Is. 5:1, Jr. 48:25, Ezek. 29:21, Zech. 2:4, Ps. 18:13, Ps. 69:32, Ps. 75:5, 6,11, Ps. 132:17, Ps. 148:14, Job. 42:14, Lm. 2:3,17, Dn. 7:8, Dn. 8:5,8,9,21, 1 Chronicles. 25:5. Ezek. 29:21, translation based upon JPS Tanach: http://tanach.leszek-kwiatkowski.eu/index-14-29-21.htm, and Bible Gateway: https://www.biblegateway.com/passage/?version=NIV&search=Ezekiel%2029. F. Nietzsche, The Antichrist and other writings, (ed.) A. Ridley, Cambridge University Press 2005, p. 11. Id., The Antichrist and other writings, (ed.) A. Ridley, Cambridge University Press 2005, p. 9. Id., The Will to Power, tr. W. Kaufmann, R.J. Hollingdale, New York 1968, p. 448.